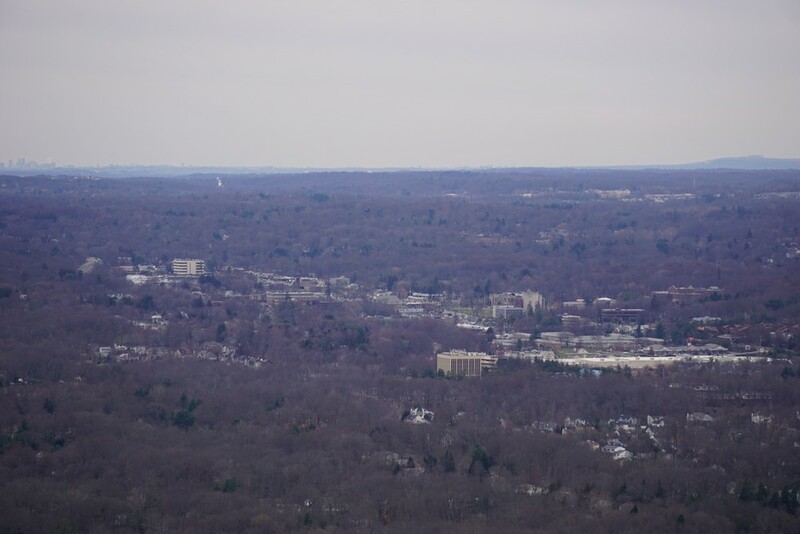 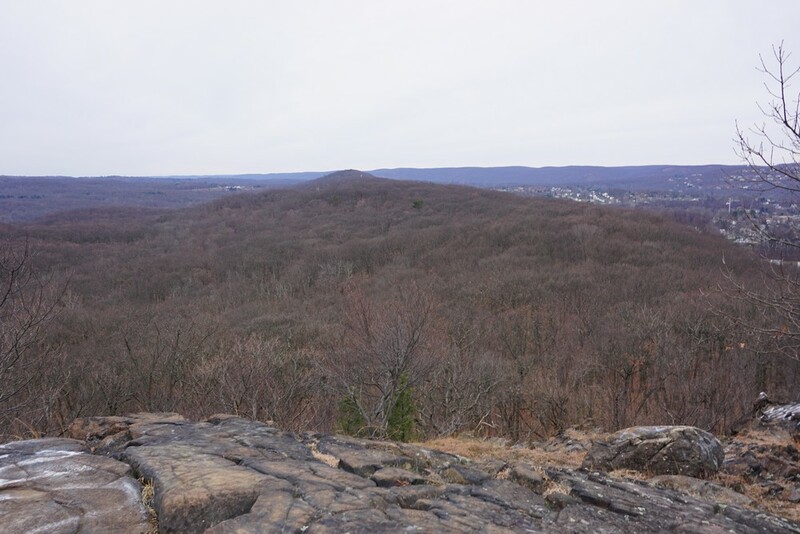 High Tor is one of the most prominent peaks in Rockland County. 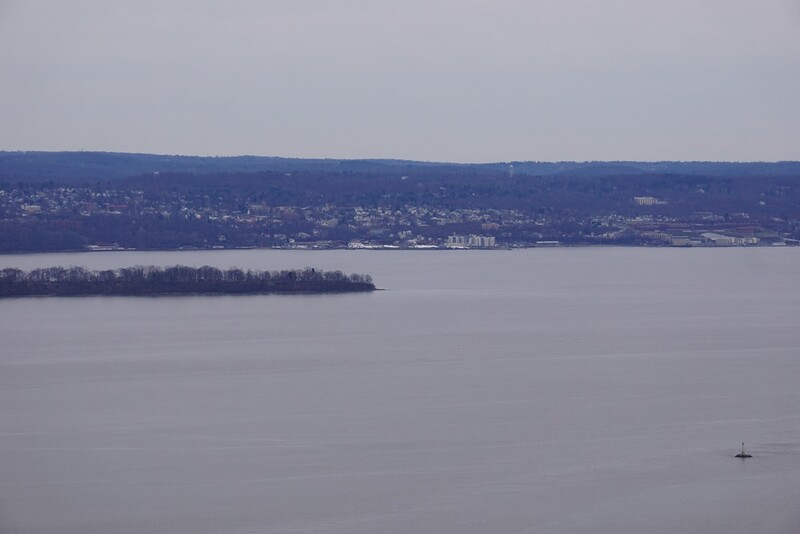 It is the tallest point in the Palisades, formed from a volcanic diabase intrusion. 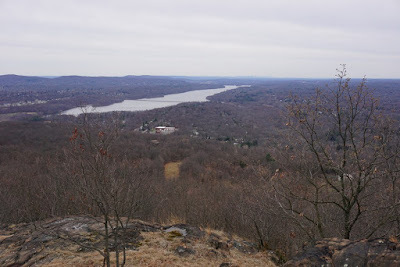 It had been a while since I had last been here at High Tor, and decided to give it another visit. 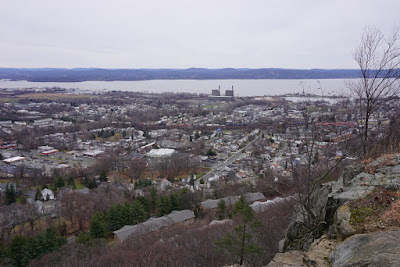 This was a two car hike, where we parked the first car on South Central Highway, near its location at the Long Path, and the other car on South Mountain Road at the parking area on the top of the ridge. 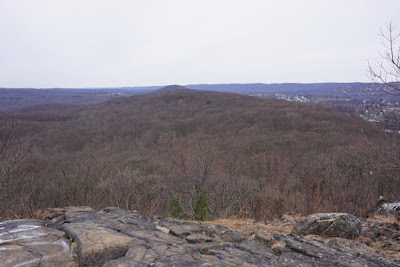 We started at the Long Path off of South Mountain Road near Ridge Road, and took the Long Path up the mountain. 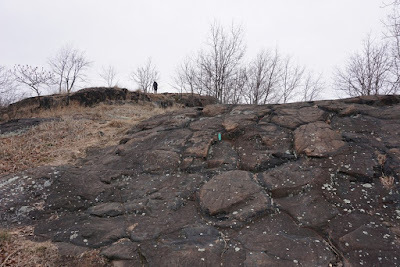 The beginning part is a mild climb, and it then evens out, before a more serious climb to the summit. 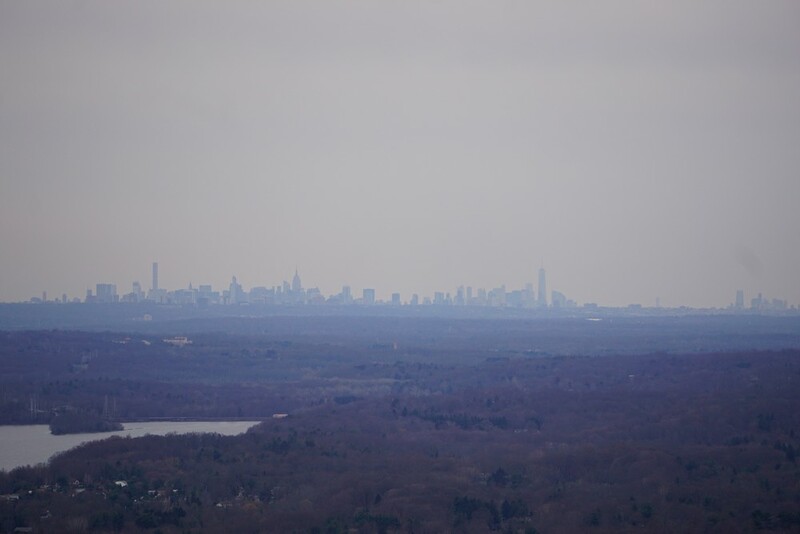 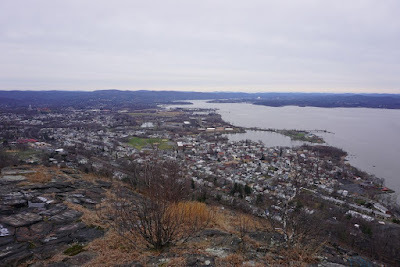 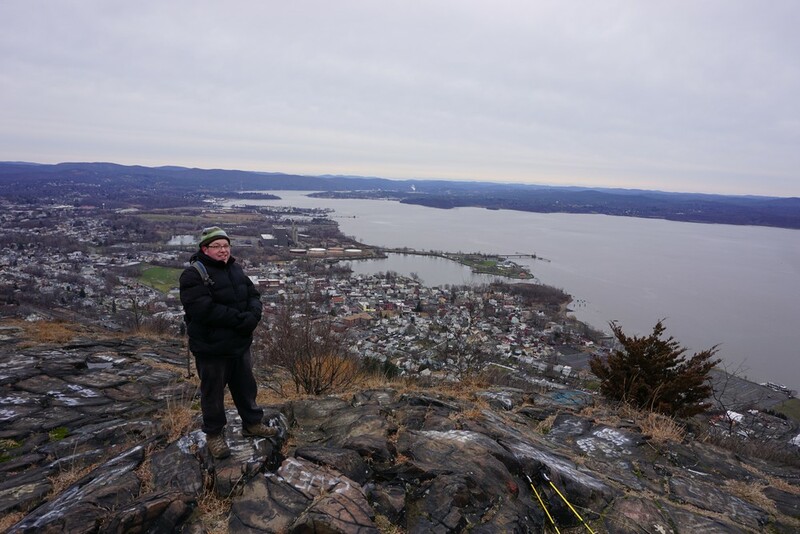 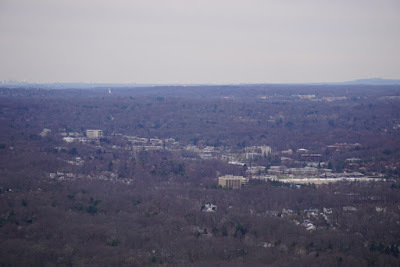 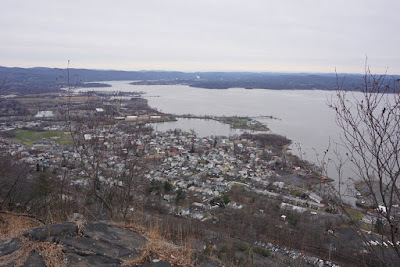 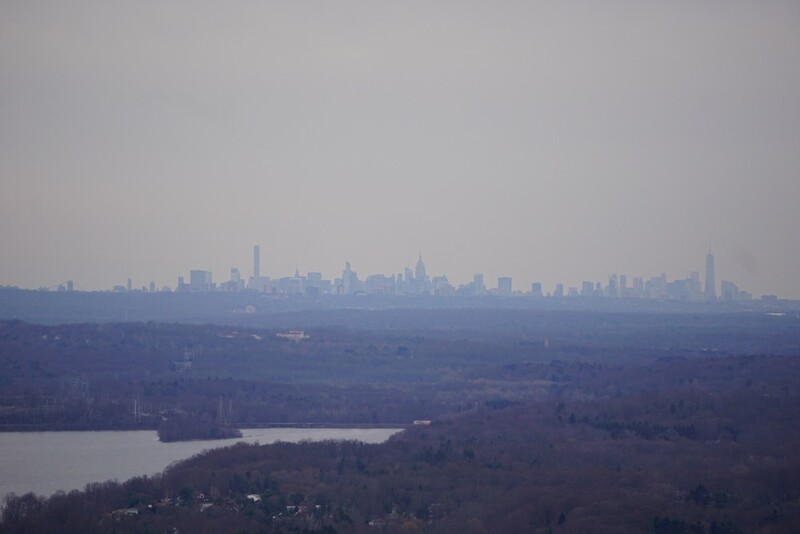 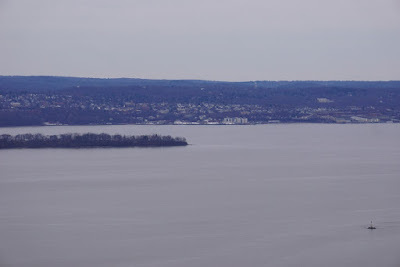 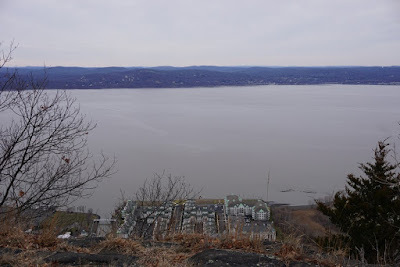 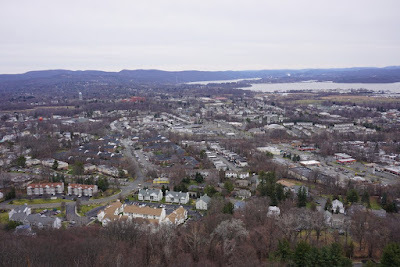 We took this trail up to the top, where there is a fantastic, 360 degree view looking over the entire Rockland county, Westchester across the river, and the Manhattan skyline is clearly visible in the distance. 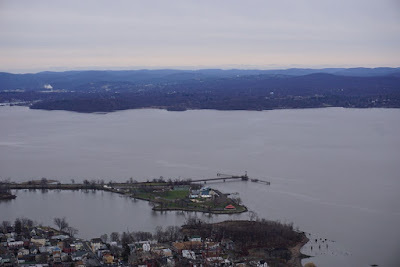 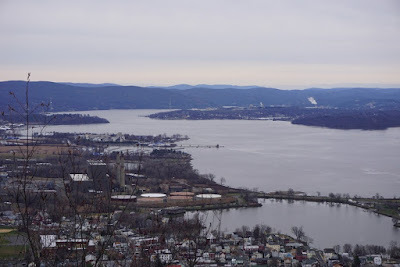 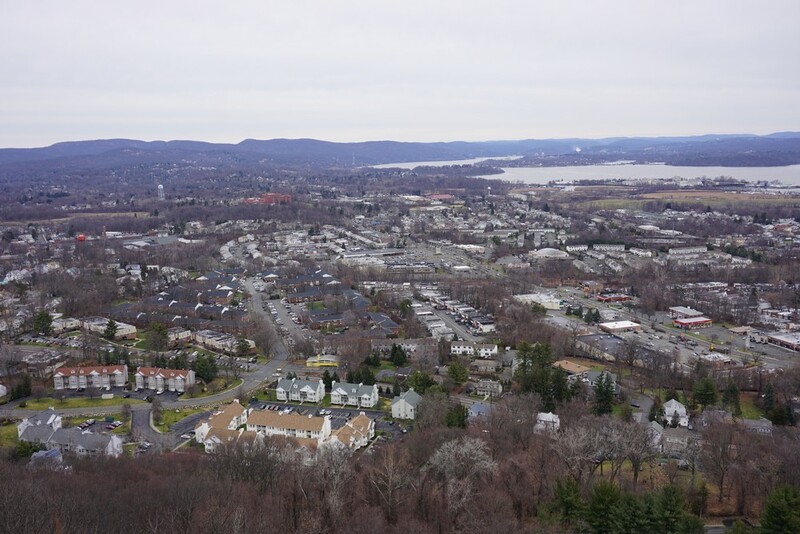 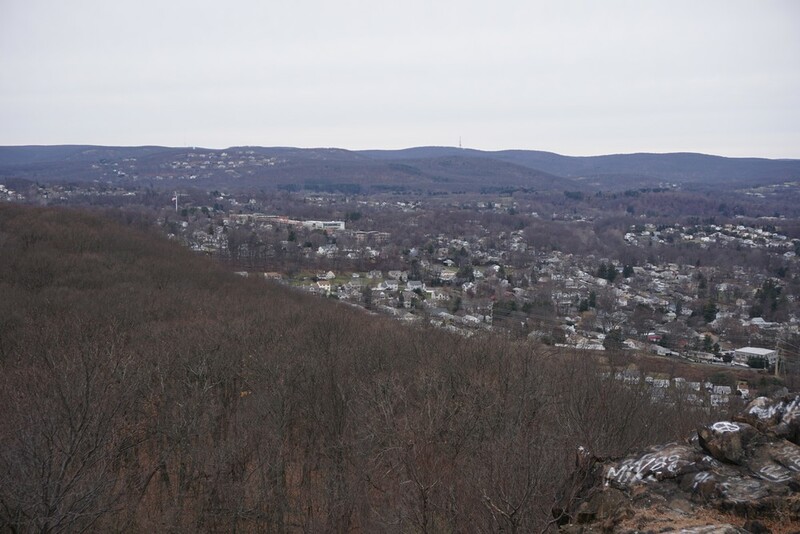 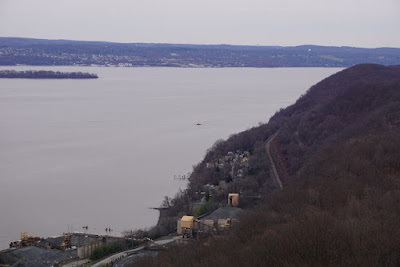 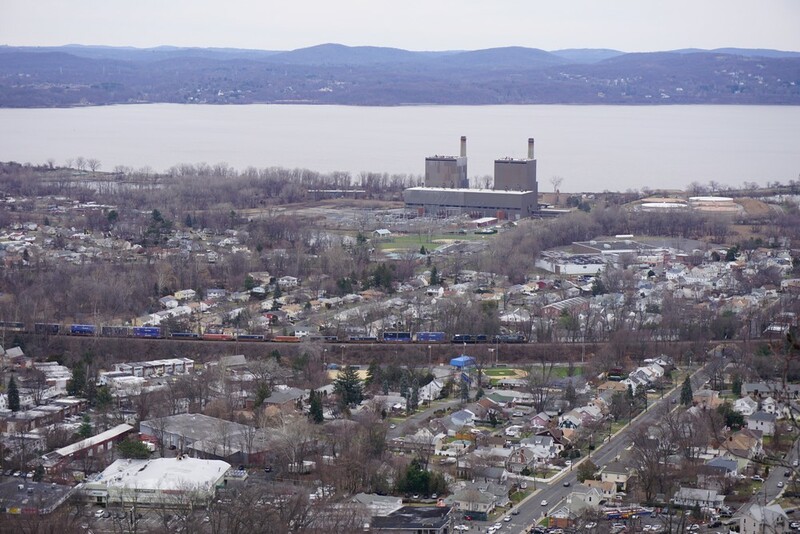 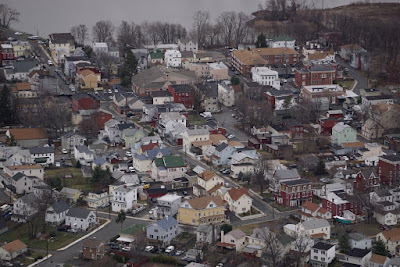 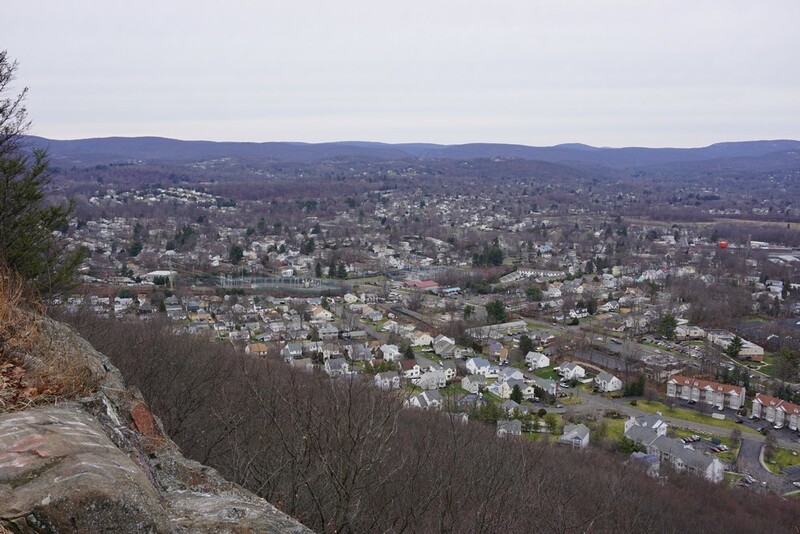 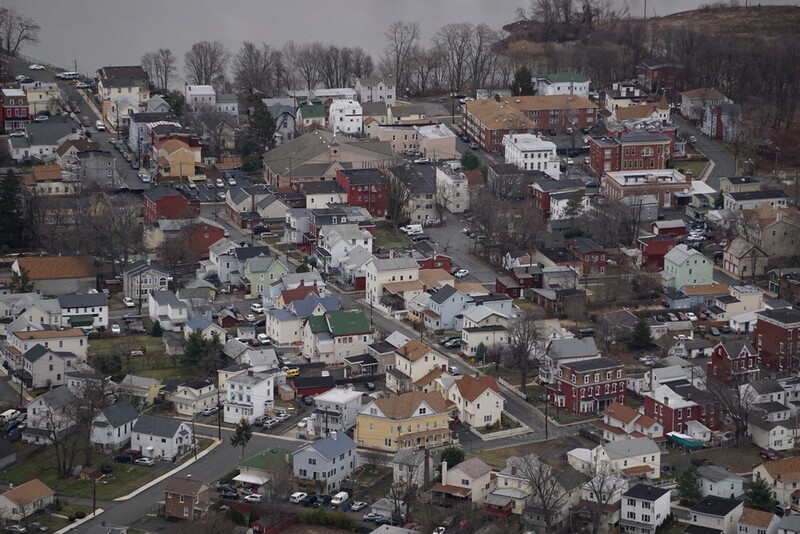 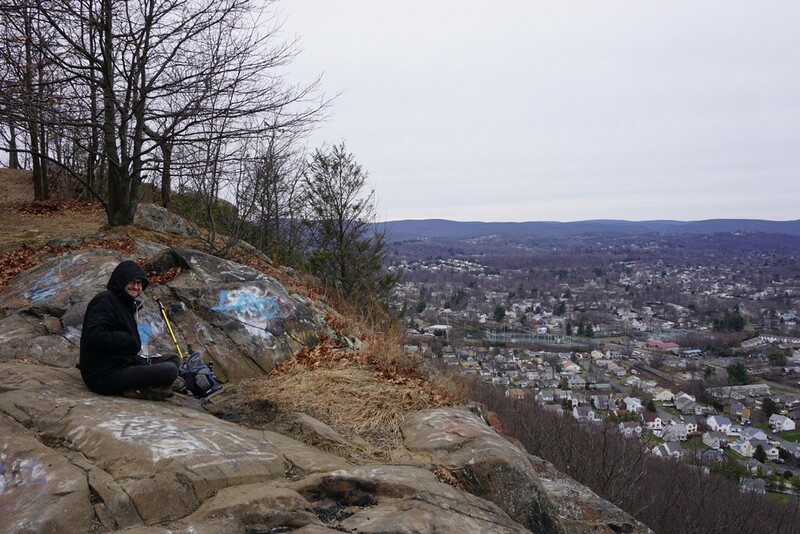 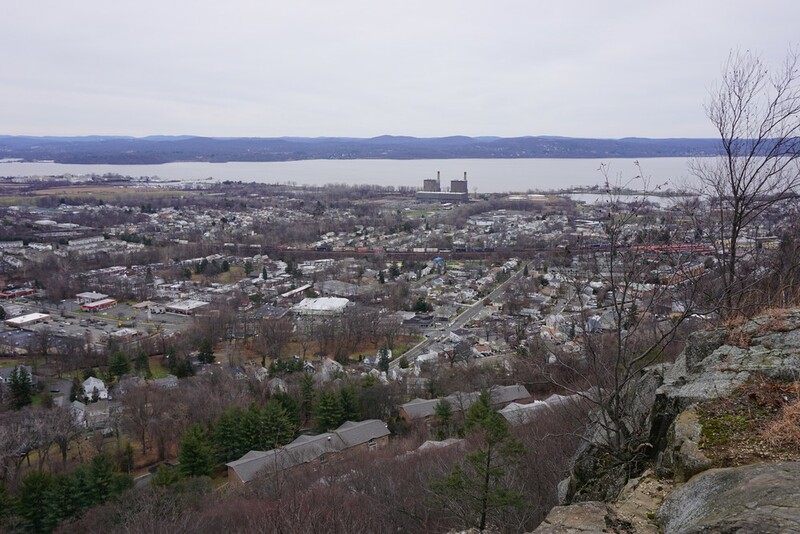 The mountain sits directly over Haverstraw, which provides the viewer an unobstructed view of the urbanized landscape below, which also includes West Haverstraw, Garnerville, and Stony Point. 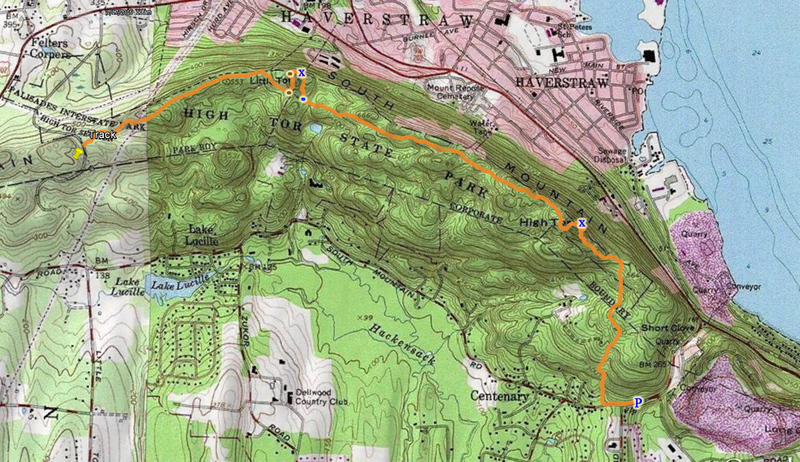 After High Tor, we continued along the Long Path towards Little Tor. Little Tor is a very similar formation in the Palisades as High Tor, with a rocky Promenade sticking out from the surrounding area. We veered off the Long Path the short Little Tor path, which goes to to the summit where there is another excellent view. 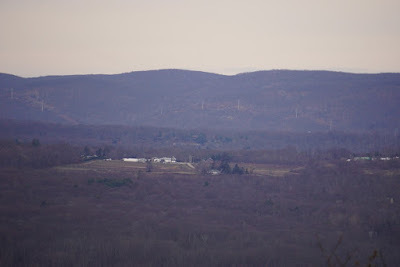 Instead of turning around at the end of the short dead end trail, we bushwacked down the northwestern side of the mountain back to the Long Path. 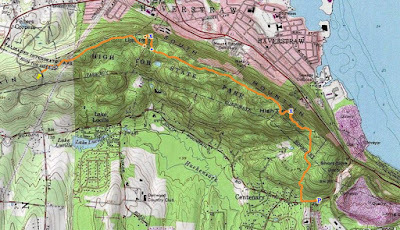 We then continued along the Long Path to the trailhead at South Central Highway where we had our other car. 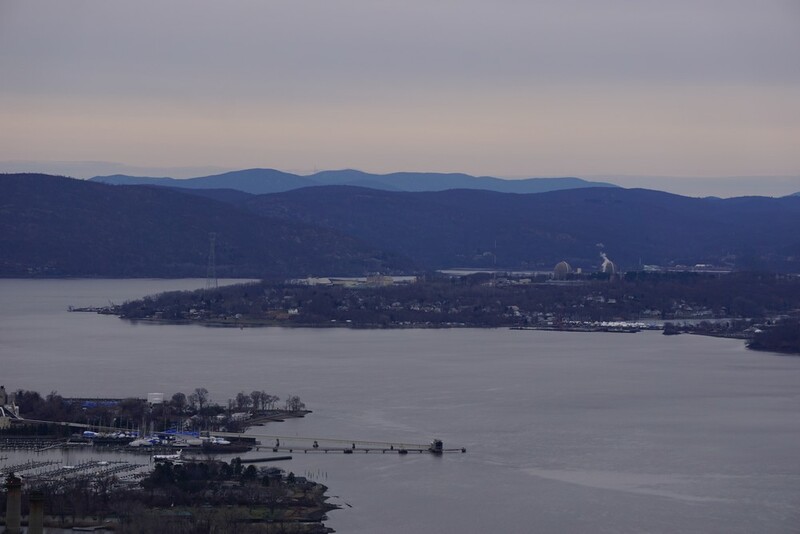 Hudson River and Hudson Highlands, Looking North. 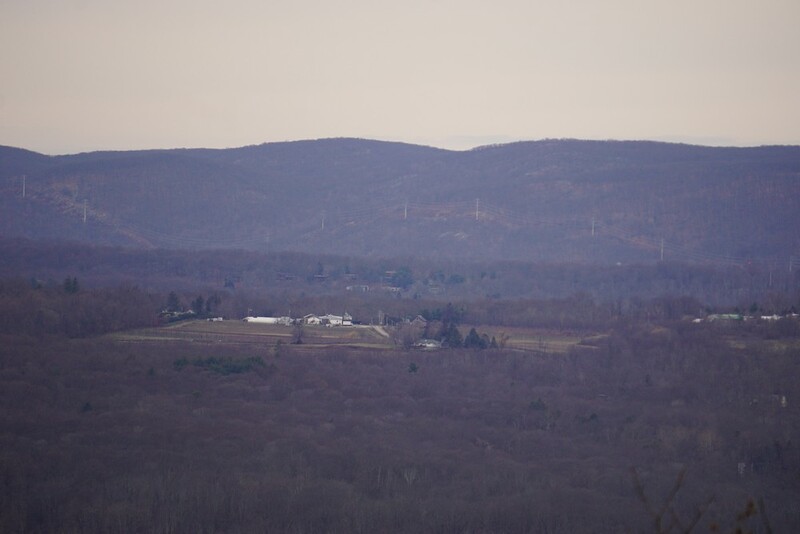 The place to park is on South Mountain Road, between Ridge Road and Scratchup Road, on the north side of the road. 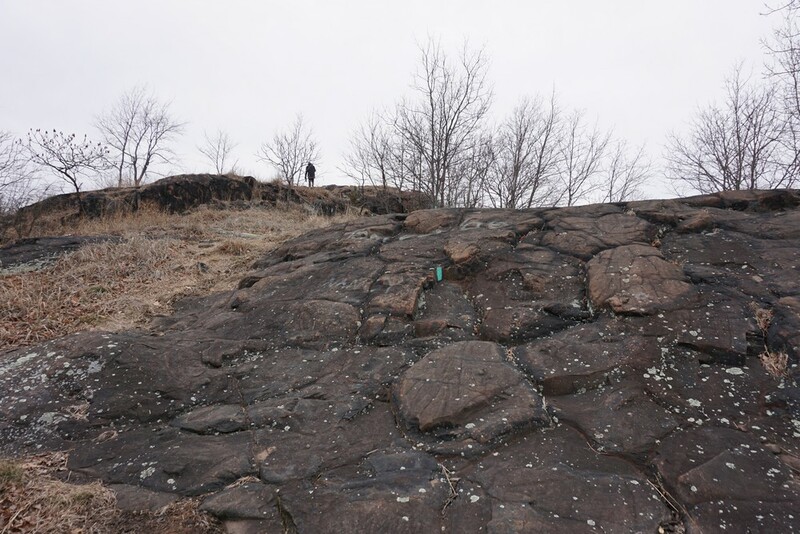 There is a little pull-off the road where you can park the car there. 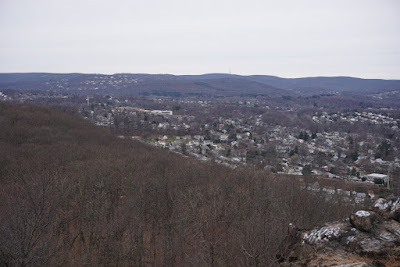 It's position is closer to Ridge Road than to Scratchup Road.